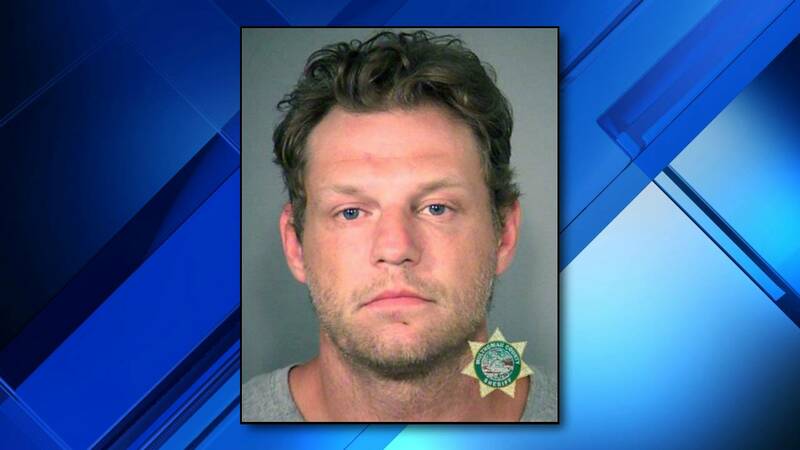 MULTNOMAH COUNTY, Ore. - A white supremacist who used his car to run over and kill a black teenager in 2016 was sentenced to life in prison Tuesday. Russell Orlando Courtier, 40, was found guilty in March for the murder of 19-year-old Larnell Bruce Jr. According to The Oregonian, Courtier used a Jeep to run over Bruce after the two had gotten into a fistfight outside a 7-Eleven in August 2016. It is not clear what prompted the fight. Prosecutors said Courtier was a member of the white supremacist prison gang European Kindred. Courtier was reportedly wearing the gang's logo on a hat and had it tattooed on one of his legs when he encountered Bruce outside the convenience store. Surveillance video showed Bruce sprinting down a street in an attempt to get away from Courtier, who was pursuing him in a Jeep. Prosecutor David Hannon said Courtier is "violent" and "unapologetic." Bruce's mother, Christina Mines, told Courtier during sentencing that "you allowed the devil to misguide you and take the life of such a beautiful young spirit." Courtier teared up in court, but was advised by his lawyers not to speak, The Oregonian reports. “I feel like a lot of that’s for camera," Bruce's step-mother, Natasha Bruce, told reporters. "A person who does what he did doesn’t to me seem to have any empathy or remorse." Jurors found Courtier guilty of murder, hit-and-run driving, and second-degree intimidation, which is a hate crime under Oregon law. Courtier will serve a minimum of 28 years in prison before he is eligible for release. His sentence will be served on top of a four-year term he received for a separate 2015 attack. In a separate hearing Tuesday, Courtier's girlfriend at the time of the killing, Colleen Hunt, was sentenced to 10 years in prison for manslaughter after pleading guilty. According to investigators, Hunt was sitting in the passenger's seat of the Jeep when Courtier ran over Bruce. Witnesses reported hearing her yell, "Get him, baby!" and "Run him over!" Hannon said his office agreed to the 10-year sentence after finding no evidence that Hunt shared the same racial animus as Courtier.